It's been confirmed that Carrie Fisher's final "Star Wars" film will be "The Last Jedi," in theaters this December. And now, John Boyega, who says his character Finn has a lot of scenes with Fisher's General (formerly Princess) Leia, explains that the sendoff for the "Star Wars" icon will be "amazing." "[Carrie] and I have many scenes in this one," he said while on "Popcorn with Peter Travers." Last we saw Finn, he had just fought Kylo Ren in a lightsaber duel and suffered an injury. He's seen healing in some sort of tank in previews for the "Last Jedi." 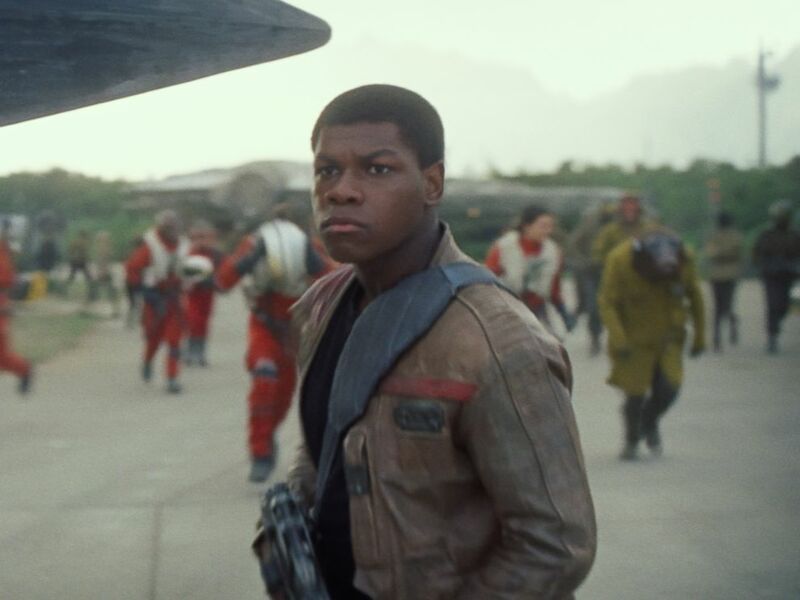 PHOTO:John Boyega as Finn in a scene from "Star Wars: The Force Awakens." "We really enjoyed each other's company," Boyega told Travers of working with Fisher. "I was in Nigeria when we found out [about her death]. It was a strange, strange feeling. I felt like everyone in the cast went silent for a bit after that ... [But] this movie, it sends her off in an amazing, amazing way." Fisher, 60, died last December after suffering cardiac arrest on a flight from London to Los Angeles. Boyega said the beauty of "Star Wars" is that Fisher will be alive for years to come on the big screen as Leia. Download the all new "Popcorn With Peter Travers" podcasts on Apple Podcasts, Spotify, Google Play Music and Stitcher. When talking about how his life has changed since stepping into the "Star Wars" world, Boyega said he has a fun trick to avoid being swarmed by fans: he does his shopping late at night. "I've still been able to maintain a sort of force-field around my personal life," he said of fame. "I still get to go to the grocery store and do my own shopping ... One thing I do like doing is 1:30 a.m., I go out and go do some late night shopping at a food store or something." He added, "I'm in my pajamas ... and people are just like, 'That can't be him, he wouldn't do that.'" Well, they know better now!